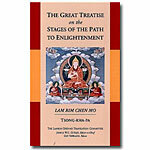 Lama Zopa Rinpoche begins this teaching saying that the philosophy that “Phenomena are created by the mind” is unique to Buddhism, and goes on to explain that it is also "the secret of the mind." What this means, in brief, is that every suffering or happiness we experience is the result of our own actions or karma, which in turn come from our mind. Because of this we have total freedom to choose whether to experience happiness or suffering. Therefore, the best thing we can do in life is to put effort into stopping suffering from our own mind, and to put effort into achieving happiness from our own mind. In short, in The Secret of the Mind, Lama Zopa Rinpoche shows us that mind and karma – rather than external conditions – are the source of all our happiness and suffering. 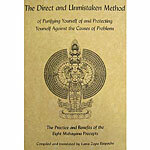 The teachings include a detailed explanation of the various types of karmic results that come from engaging in and refraining from the ten non-virtuous actions. 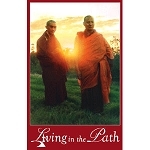 This module of Living in the Path consists of 54 pages of lightly edited transcripts accompanied by four short video extracts (10-20 minutes) drawn from teachings given at the Light of the Path Retreat 2010 held in North Carolina, USA. The module is introduced in a video featuring Ven. Robina Courtin. 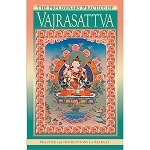 Important information about your order of online materials: Following your purchase of an online course, you will receive an email with a link to a webpage to download a PDF document which will contain the enrollment key for the course and instructions on how to access the course on the FPMT Online Learning Center.